The ITC is well known to be a fast-moving patent venue. While the docket might indicate that not much has happened since the case was filed in November, in the next three months, an important substantive hearing (claim construction) will be in April 2016 and a final decision from the judge is due in less than a year. 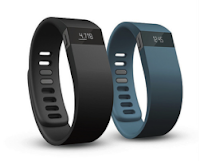 To receive the latest developments as FitBit’s ITC investigation unfolds, attorneys can setup tracking with Docket Alarm for this docket to receive email alerts. The email alerts contain a summary of the update along with a PDF attachment of the filing, eliminating the need to take the extra step of logging into the platform. Users can also set up Docket Alarm tracking for any ITC decision or even any ITC search query. In addition to tracking ITC dockets, Docket Alarm provides attorneys with a dedicated ITC search engine and a variety of filters to make finding specific ITC decisions or documents effortless. 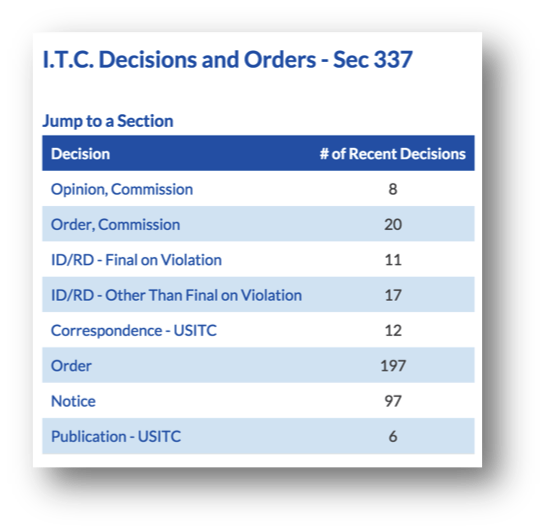 Users can view different types of recent ITC decisions and orders by category, including commission opinions, ALJ orders, initial determinations and more. Users can also easily view new ITC investigations with one click. Docket Alarm’s docket tracking tool ensures you are always up-to-date on the latest news coming out of the ITC. Docket Alarm is a legal research and analytics platform that’s helping attorneys enhance their practices. Sign up for Docket Alarm at www.docketalarm.com today to start following new decisions from the International Trade Commission.